How do I use a non-scoring rubric to assess submissions in SpeedGrader? 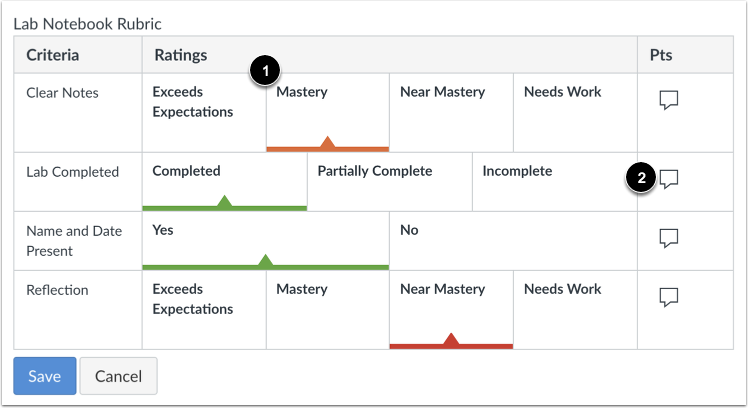 If you have added a non-scoring rubric to an assignment, you can assess the rubric in SpeedGrader. Non-scoring rubrics contain rating criterions without point values. Unlike regular rubrics, non-scoring rubrics are not used for grading. 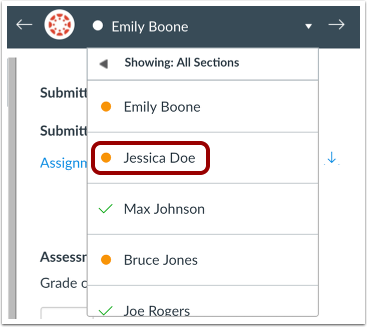 Be sure you have selected the Remove points from rubric option when adding a rubric to an assignment. Be sure this checkbox is selected before you begin grading submissions. Note: If your rubric does not contain any predetermined rubric criteria, you should grade the rubric using free-form comments. Open SpeedGrader from any assignment, graded discussion, or quiz. 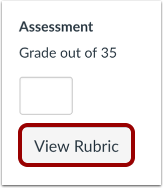 Click the View Rubric button. 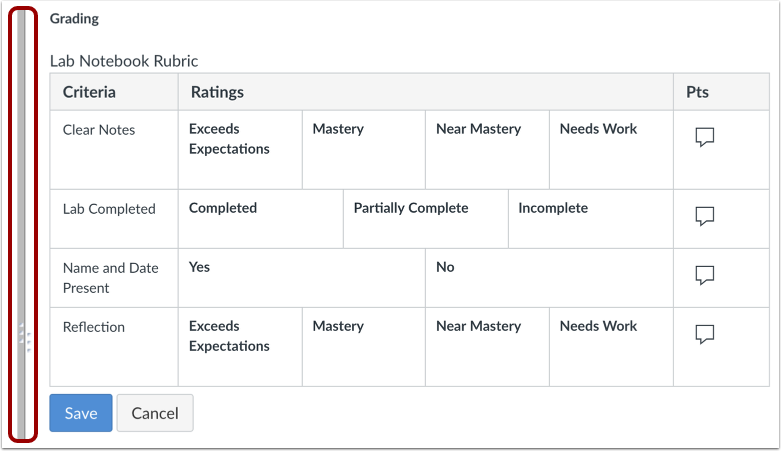 To view the entire rubric window, you may need to scroll both vertically and horizontally. To resize the rubric window, click and drag the sizing column horizontally. For each criterion, click the rating that applies to the student's submission . You can also add a comment for each rubric criterion by clicking the Comment icon . Previous Topic:How do I use free-form comments instead of ratings in a rubric in SpeedGrader? Next Topic:How do I leave feedback comments for student submissions in SpeedGrader? Table of Contents > SpeedGrader > How do I use a non-scoring rubric to assess submissions in SpeedGrader?